A lot of planning and time goes into putting on the high school musical production. This year no matter your budget, talent pool or timeline, here are some tools and tricks that are sure to make your show a huge hit. Know your talent base. 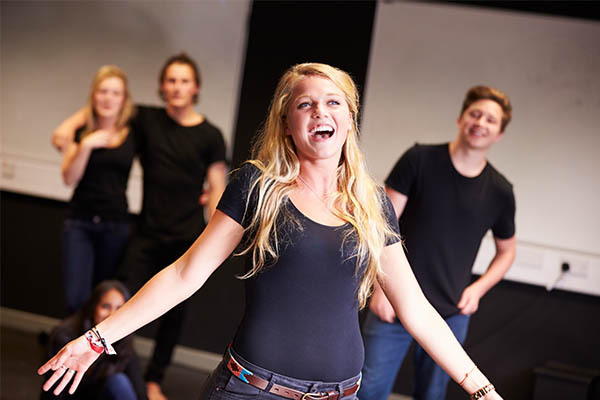 Are your students primarily dancers, singers or actors? Pick a musical that highlights your students’ strengths. For singers, try Les Miserables or The Secret Garden. If you have dancers, try 42nd Street or Anything Goes. For acting, try shows with interesting characters, like Sweeney Todd or Shrek. Don’t just look at your talent — look at the gender balance of your students. If your department gets mainly females auditioning, try Little Women or Annie. If you have a lot of guys, try Newsies or How to Succeed in Business Without Really Trying. Stick with your budget. Purchasing the rights to a show can get expensive fast. You may not be able to do a popular show if the rights are too expensive. If you have a thin budget, look into only doing two nights instead of three. NEVER illegally put on a show. Not only does it hurt the playwright and composer, but you can be fined, sued or even jailed! Check with your school administration. Some musicals have questionable content. If you really want a specific musical, ask if you can cut certain songs or lines to make it more appropriate. Many musicals also have “junior” versions, adapted specifically for schools. If you have a lot of restrictions, some family friendly musicals include You’re a Good Man, Charlie Brown, Seussical, and most Disney shows. Choose a date far in advance so cast and crew members can clear their schedules. Check your school’s schedule to ensure your play won’t be held on the same night as a large sports game or school trip since this may hurt your ticket sales and interfere with parking. Schedule auditions with an online sign up! SAMPLE. Require each student to sing 16 bars from any musical if you have an accompanist on hand. If not, pick 16 bars from your musical and have everyone sing the same 16 bars. Hold a short workshop before auditions if the musical is dance intensive to teach a small number that students will perform at the audition. Have two to three monologues on hand that students can read at callbacks to determine their acting ability for larger parts. Stay organized by having students sign up for audition slots on a sign up beforehand. Based on the order they signed up, assign each student a number and give them a sticker with this number before the audition. This makes it easier for you to take notes on individual students as they audition. Export the online audition sign up onto a printable spreadsheet to take notes during the performances. You also can have students indicate rehearsal conflicts on the sign up and have this information in front of you. You may have Patti Lupone audition, but if she has to miss three weeks of rehearsal for a vacation to Europe, don’t cast her as a lead role. Find crew members by having students submit a short application with their desired crew role (prop manager, run crew, costume change help, etc.) and any previous experience they may have. Select a responsible student to be your stage manager, and allow him to take charge of the crew. To find an orchestra, talk with your school’s band/orchestra director about students who may be interested, and allow him to coordinate rehearsals with the student orchestra before you integrate them into cast rehearsals. Anticipate some hurt feelings when the cast list comes out, but only one actor can play each part. Make it clear to your cast that they are no longer in competition with each other and that each part is important to make the show great. Lock in your parent volunteers early. This will leave you free to focus on directing the play — and not worried about costumes, sets and tickets. Genius Tip: Use a sign up to collect payments for ticket sales. Require your cast to attend a mandatory parent meeting (indicate the date for this at the audition). At that meeting, explain the different areas parents can serve and set dates and times to be costume and set workdays. Have parents sign up on an online sign up to get automatic reminders for the times and tasks they’ve committed to. Raise money for props with a bake sale fundraiser! SAMPLE. Plan rehearsal schedules from the beginning and give the schedule out early so cast members can avoid conflicts. If you prepared properly, you should have two to four months to put on your show. Stick with your plan! Give your students one or two excused rehearsal absences, but make sure that cast members know that missing rehearsal hurts the entire group, and being absent gives you the right to remove them from whatever scene or song is being worked on while they are gone. Indicate which cast members are called for which rehearsals when organizing a schedule. Not every member is necessary for blocking individual songs or scenes, and having a large (chatty) audience will only distract the actors who do need to work. Check with your school’s administration about when they can open the school for you for weekend rehearsals. Encourage your students to trust each other as actors and friends by spending a few minutes during the first week of rehearsals playing group icebreaker games. Remember that drama between cast members is inevitable. When you begin to sense tension, take the offending students aside and attempt to mediate compromises. Explain to students that while they may not be good friends, they still need to trust each other and work together. Encourage students to go out for meals before early Saturday rehearsals or after afternoon rehearsals. If you have younger students who cannot drive, ask older students to volunteer to take them to and from rehearsals. 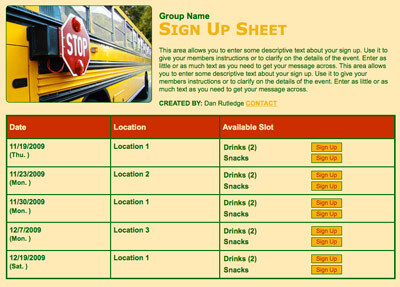 Genius Tip: Organize a carpool with an online sign up. Have your students help improve each other. Let students watch a newly choreographed number and have them state praises and criticism to encourage their friends and improve the show. Organize online ticket sales with an online sign up! SAMPLE. Publicity and ticket sales are important to make your show a success. Have parents contact local news outlets and place posters in stores nearby your schools to help raise awareness about your show. Encourage students to share about the show on social media, and recruit a few students to go on your school’s morning announcements to talk about the show. Sell tickets online using SignUpGenius Payments to easily collect money. You can even offer an early-bird discount. Remember, the final stretch can be the most stressful time of all. You will have a lot of late and long rehearsals. 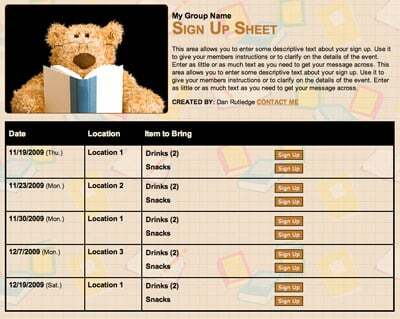 To keep up spirits, create an online sign up to coordinate parents bringing snacks or even meals for your cast and directors. Integrate mics and costume changes early so that students don’t find that they have a near impossible costume/mic change after it’s too late to fix the problem. Think about the toll of long rehearsals. It’s inevitable that your cast will start to get sick or lose their voices as they rehearse around the clock and lose sleep. Encourage your cast to take care of themselves and allow students to rest their voices during some rehearsals by not having them sing as loudly. Try a soft opening where you perform the show for an easy and supportive audience, like your school’s faculty — or maybe a few elementary school classes. The encouragement from a smaller audience will get rid of any stage fright your students may have and help them anticipate where laughs and applause will be heard as they perform the show. There are many different challenges and tasks required to put on a successful show, but in the end, when your students proudly take their final bow, it’ll all be worth it. Kayla Rutledge is a college student who spends most of her time writing, singing for her church and eating quesadillas. Organize AP Exam proctors with an online sign up. I can not tell you enough the excitement at our school over this new way to sign-up for all our events!!!! It has been THE talk of the new school year. Parents are so excited that with each new sign-up the parents are literally scrambling to find an open slot to volunteer!!! AMAZING!